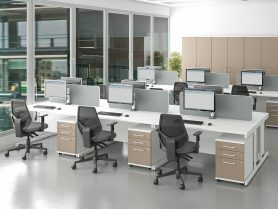 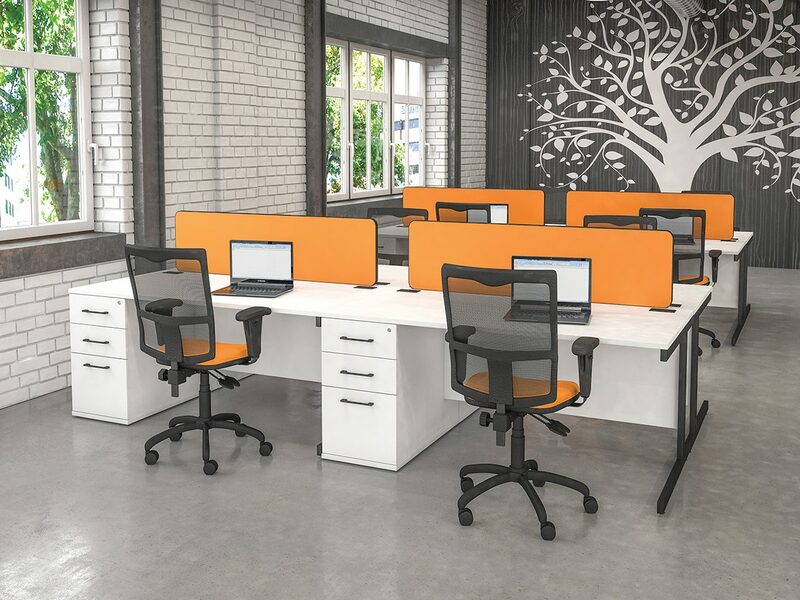 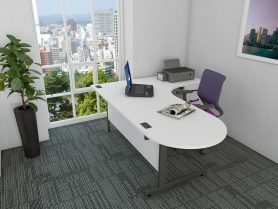 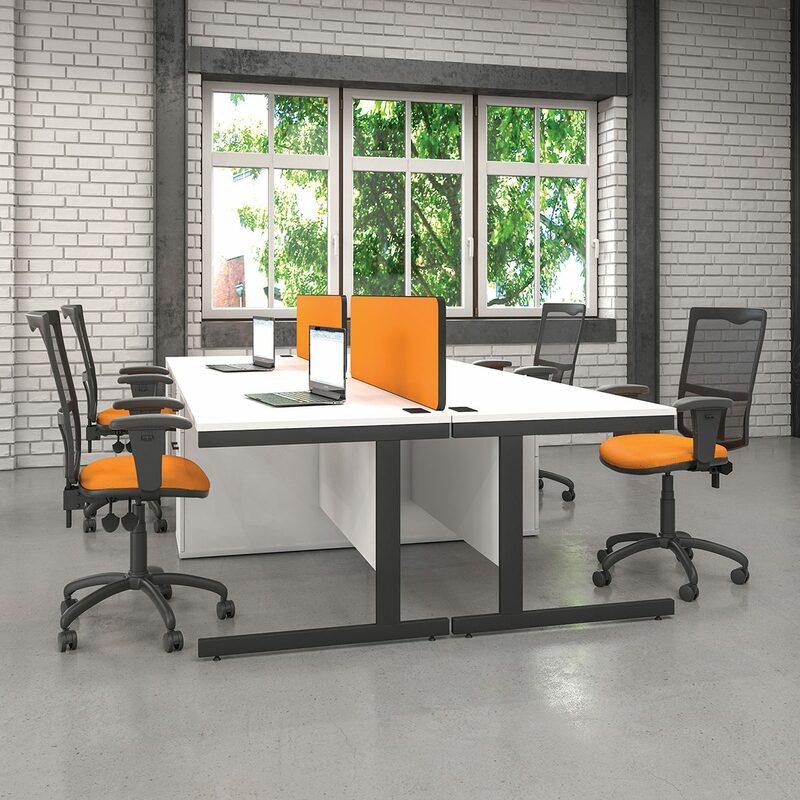 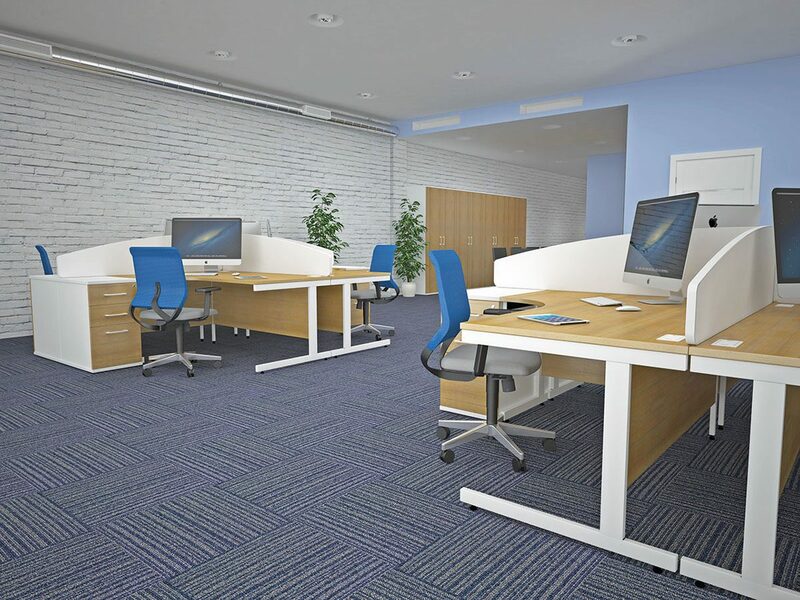 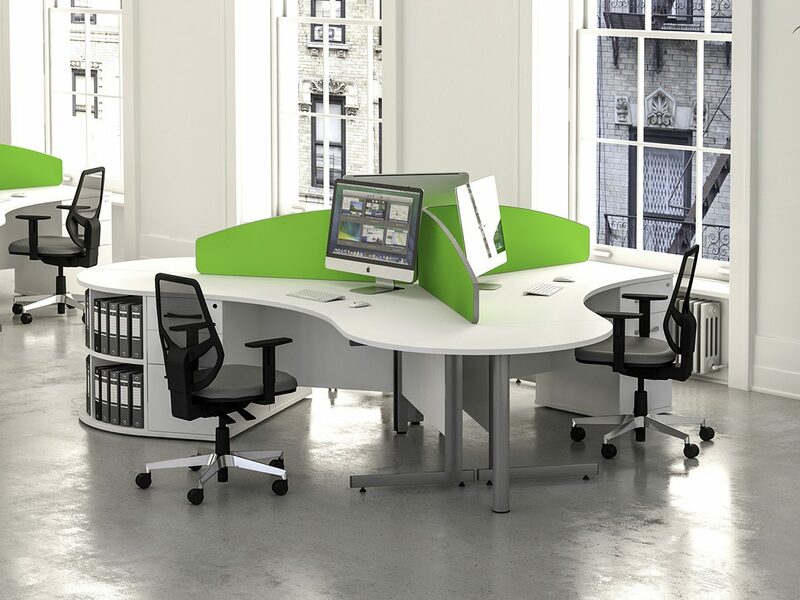 Sirius is the most traditional of our desk ranges. 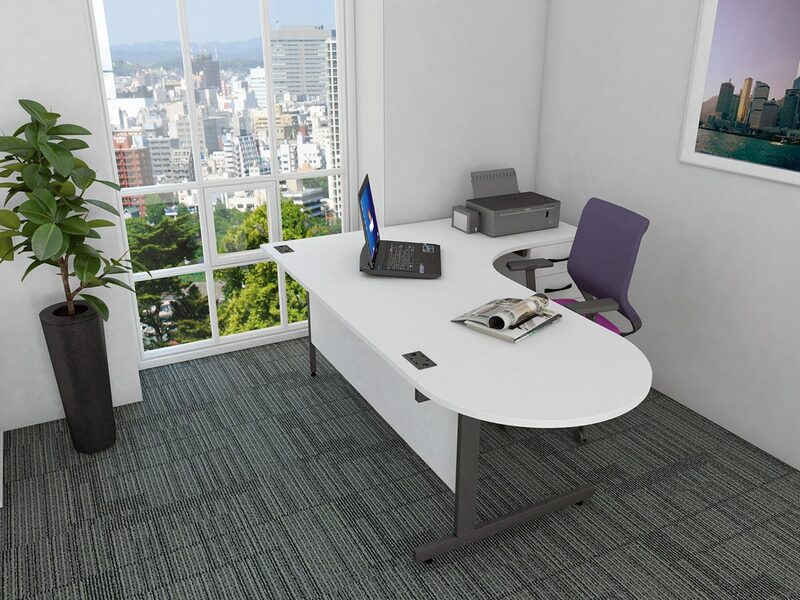 With its robust cantilever leg and 25mm top as standard it’s still a very popular option. 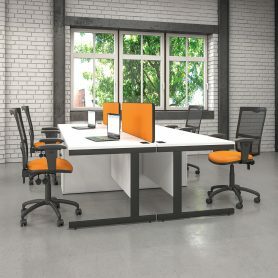 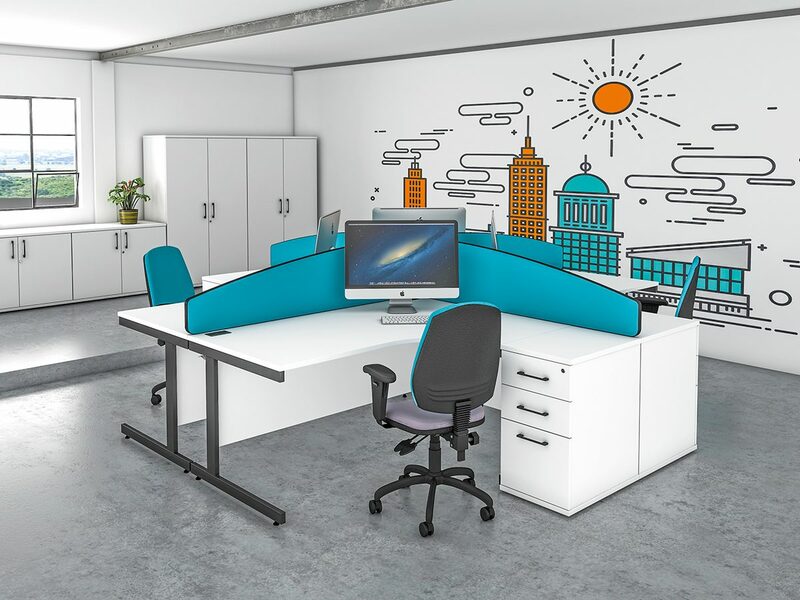 Available with various desktop shapes and designs in both 800 and 600mm deep with cables ports and notched modesty panels for ease of cable routing. 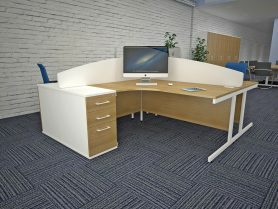 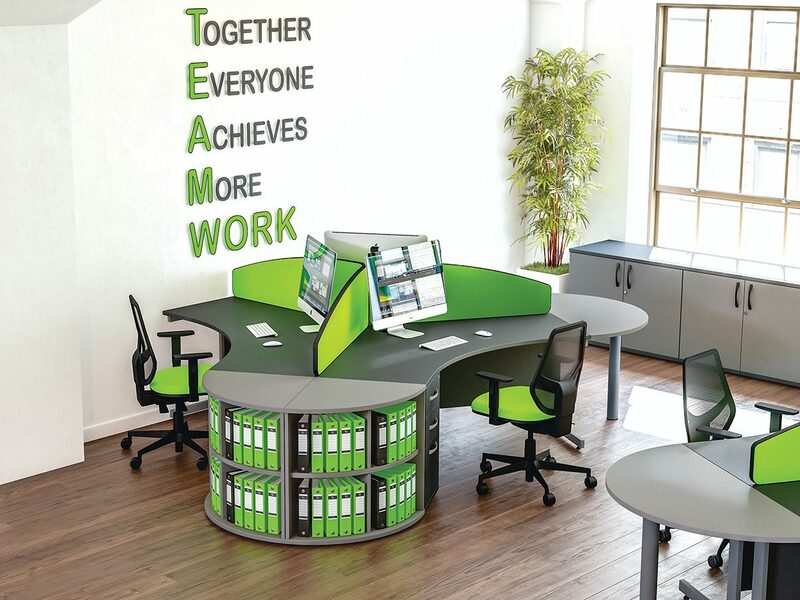 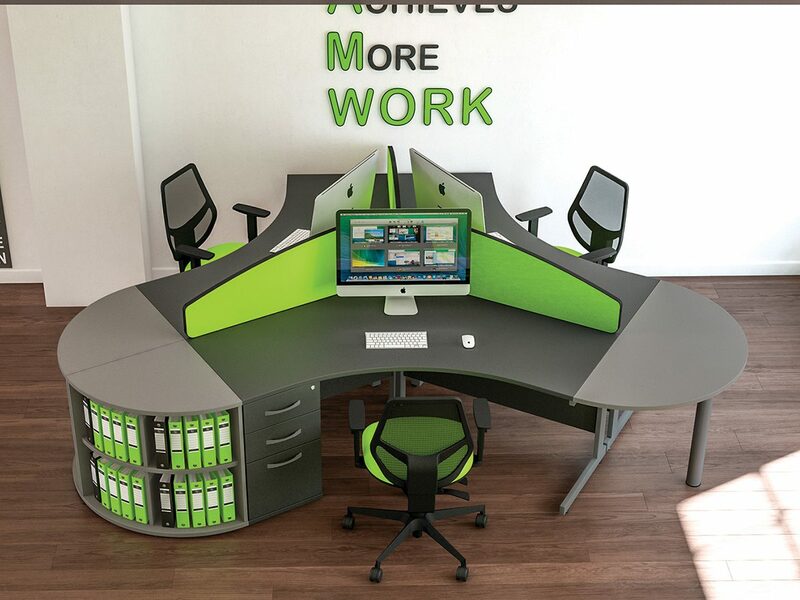 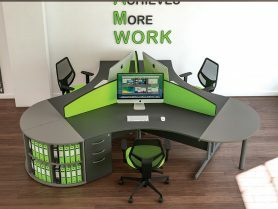 Combination desks are also available offering a modern, cost effective option. 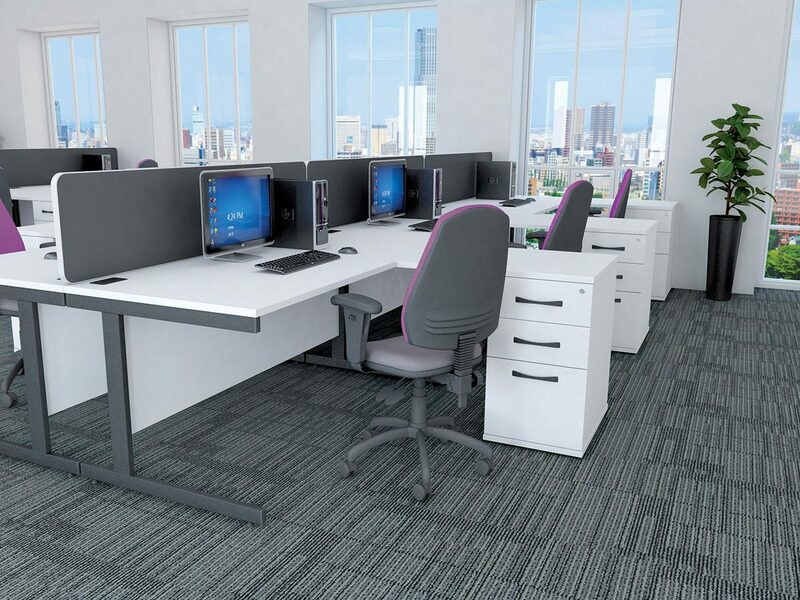 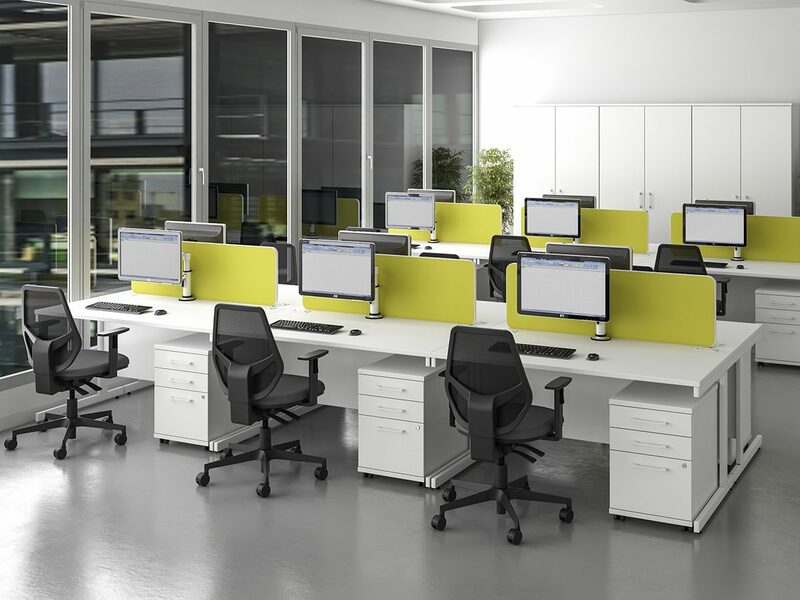 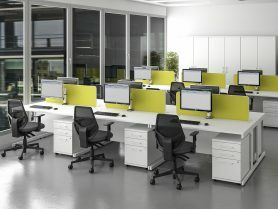 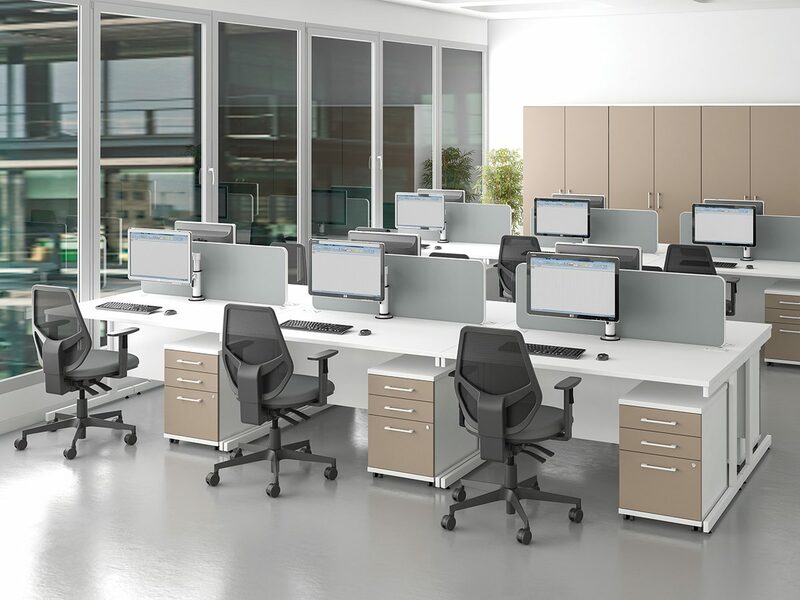 All desks have metal to metal fixings and supplied knock down with feet levellers as standard. 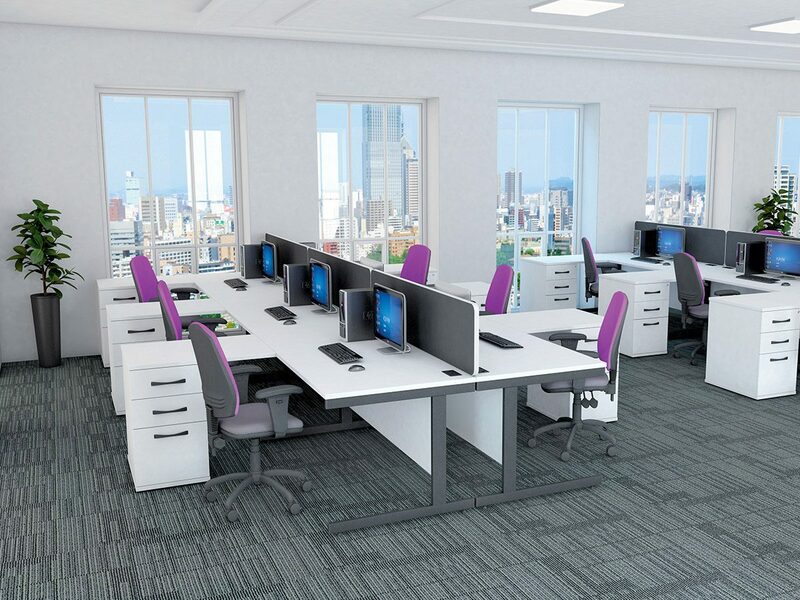 Optional links and horizontal and vertical Cable management complete the range.